During the week, the price of WTI crude oil fell amid increasing drilling activity in the United States. The continued growth of quotes supported shale oil producers in the USA. According to Baker Hughes, the number of active rigs increased by 17 units in 2 weeks, and the production of "black gold" in the United States is at a record level. The market is also pressured by Russia's intentions to withdraw from the agreement on production reduction in June. Moscow says that, in Q2, there will be a shortage of supply in the market due to the restoration of the global economy. Traders responded to the news from Russia by fixing a large volume of long positions. At the same time, production growth in the USA compensates for a reduction in deliveries from Iran, Venezuela, Libya, Algeria, and Sudan. Today at 22:30 (GMT+2), an API report on US oil reserves will be published. On Wednesday, at 17:30 (GMT+2), the US Department of Energy will publish its report on weekly changes of commercial oil and petrochemicals reserves. 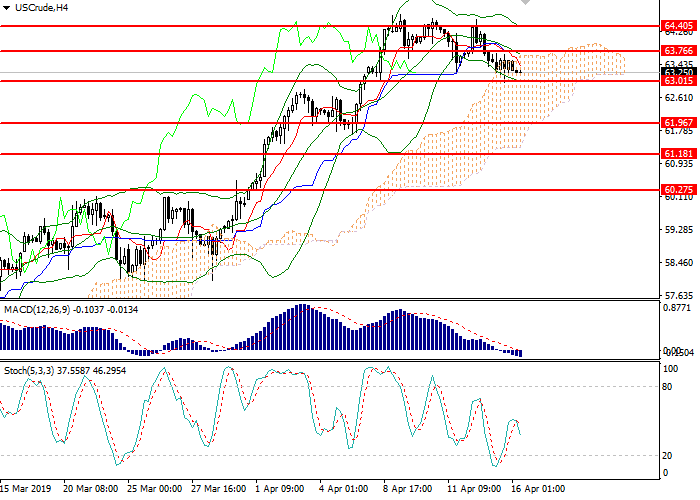 On H4 chart, the instrument is testing the lower border of Bollinger Bands, which is the key support level. A key resistance level is 63.75. The indicator is reversing down, and the price range remains limited. Further dynamics will depend on breaking through the key levels. MACD histogram is corrected near zero line. Stochastic does not give a signal for entering the market. 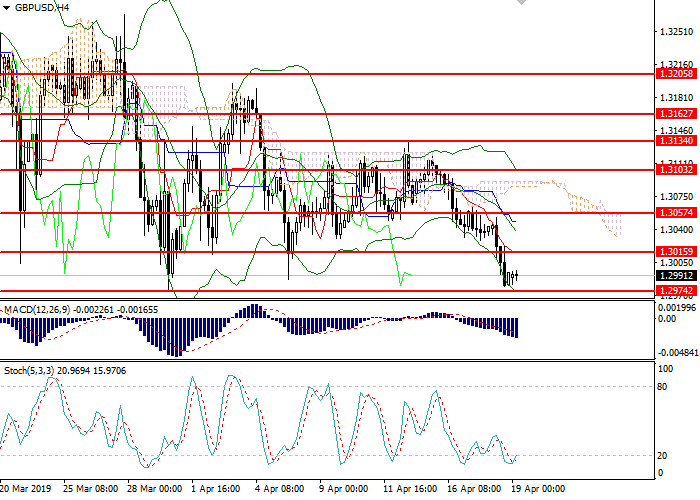 Long positions may be opened above 63.80 with the target at 64.60 and stop loss at 63.55. Short positions may be opened below 62.95 with the target at 61.95 and stop loss at 63.25.